Rolls-Royce Motor Cars will this year once again serve as a gentle presence in the most celebrated Mediterranean playgrounds of the wealthy and influential. Working with an exclusive selection of partners across the beautiful Andalusian Coastline and the blissful Côte d’Azur in the South of France, the marque will present a collection of motor cars in locations entirely befitting the most discerning patrons of luxury in the world. “Rolls-Royce’s presence in some of the world’s most glamorous summer enclaves speaks of the commitment to effortlessly gracing the lifestyles of its patrons. We are delighted to ensure those wishing to know more about the marque are never without the benefit of a Rolls-Royce,” says James Crichton, Regional Director Europe, Rolls-Royce Motor Cars. Encompassing the key weeks in the European summer season (17th July – 20th August), Rolls-Royce will base an exquisite collection of beautiful Bespoke motor cars from the truly stunning backdrop of the Sierra Blanca Mountains in Marbella and Puerto Banus to the spectacular La Reserva Club, an exquisite enclave in the very heart of Sotogrande. There will be a total of seven stunning motor cars delivering luxurious drive experiences, together with the most beautiful Dawn, Wraith and Ghost models. This collection will include the acclaimed ‘Dawn – Inspired by Fashion’ and the Continental European debut of Dawn Black Badge which will be unveiled in the beautiful surrounds of La Reserva Club, Sotogrande. For clients with an interest in exploring the marque’s endeavours further, the marque presents the opportunity to enjoy dynamic driving experiences, supported by Rolls-Royce Motor Cars product experts, in the breath-taking surroundings as they drive the most luxurious motor cars in the world through the sweeping hills of the Andalusian Coastline. 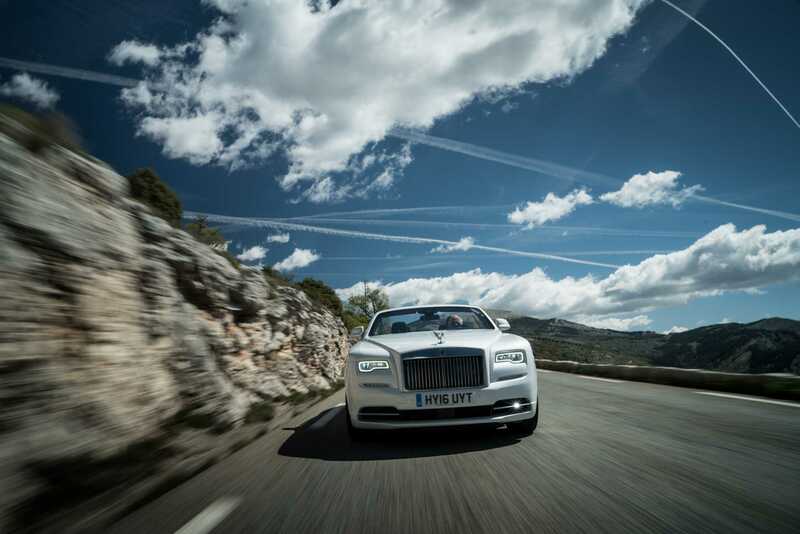 Rolls-Royce will then take residence between 7th and 20th August in the beautiful Côte d’Azur. Four stunningly Bespoke motor cars will be used for once-in-a-lifetime driving experiences around the iconic French Riviera landscapes. A number of remarkable events will make up a truly outstanding itinerary. Rolls-Royce Motor Cars fully immerses itself in the lifestyle of its honoured patrons while always endeavouring to provide them with a gentle presence, the most personal experience of true luxury and a relationship that goes beyond the motor cars they commission.